We had the chance to catch up with one of our website customers, Craig Blum, owner of Johnny Doughnuts for our food truck spotlight this week. Craig talks about food truck branding, running a food truck business, how they got started and some insightful stories about the doughnut company's launch. 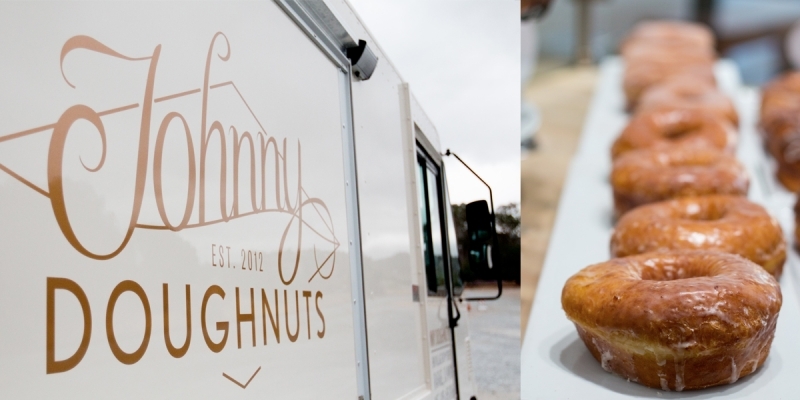 Johnny Doughnut's website design uses the Made For Food Trucks Curb theme! 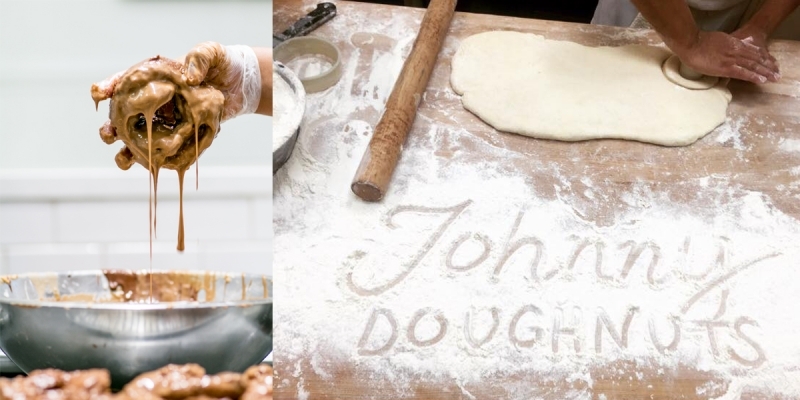 I previously owned a pizza crust manufacturing company called “John Dough” and when I decided to do a doughnut concept, Johnny Doughnuts was a perfect fit. We spent 3 days working with a branding coach, to better understand the essence of the brand. We turned all of our findings over to our branding designer (Nicole LaFave at Design Womb), who took that information and ran with it. Nicole really understood what we needed to do and has been a huge part of our expansion, making sure our brand stays on point. Old world, one-of-a-kind, hand crafted artisanal doughnuts, and coffee. I have been fascinated with food trucks for about 15 years. I originally was going to do a pizza truck but every road I went down with that concept, was a bumpy one. Doughnuts were in the back of my mind along with the questions “Why do most taste so bad?" and "How can I make them great?". When I decided to do doughnuts, I became excited and inspired and everything fell right into place. Our website (built on Made For Food Trucks) and social media has driven our business from before day one. We launched our website a few months before our truck was ready and we got a call from Apple to do an event for them. Instead of telling them we were not open yet, we shared that we were booked for the next three weeks and we would love to do their event when we were available, thus our first event for Apple was booked. In addition, social media is a huge part of our exposure. Whole Foods brought us into their Northern California office to talk with their marketing managers about our social media approach. What's been the hardest thing to date in the process of launching your food truck? The most challenging part of launching our truck was the actual food truck build. Having never done this before we went with an extremely reputable builder and were at their mercy during the build. As amazing as they were, their internal culture added a ton of grey hairs and subsequently more grey hairs for the next two food truck builds. What's been the most surprising success or tip you can share? I'd have to say how doughnuts effect people and create community. We have been able to touch people's hearts and lives in way I could not imagine. Also, Johnny Doughnuts was named small business of the year by our state assemblyman (Marc Levine). We receive daily thank you's for what we have brought to our local community and beyond. I heard Jim Carey say just the other day, “You can play it safe, live small and fail, or you can dream big and fail too, which would you rather choose?”. What are some of the most helpful resources you've found in researching how to launch a food truck? I began many years ago talking to food truck owners, searching the web, and meeting truck builders. Then I met with Matt Cohen (SF Cart Project and now Off The Grid SF) and he gave me many pointers that I took to heart and that helped me build a foundation. Words of wisdom you want to leave us and any fellow aspiring food truckers across the country with? Words of wisdom … that’s a lot of pressure but, what I can say is do your homework. This is still a food service operation and requires as much if not more attention to detail and the overall custom experience. I was told that most food truck operations should have their service down to 56 seconds (one minute) but over and above that I have learned that amazing customer service will compensate for a longer service time. What's your personal favorite thing to eat on the menu? Depends on the day, but right now our cinnamon roll is my kryptonite!!! Favorite part about working with Made For Food Trucks & Design Womb? Nicole over at Design Womb understood our concept, took the challenge, and (what seemed effortless) created a brand that is complimented all of the time. Nicole has an amazing attention to detail and her design aesthetic is right on point. Design Womb and Made For Food Trucks also has a lot of experience with food trucks and can offer many fabulous resources.